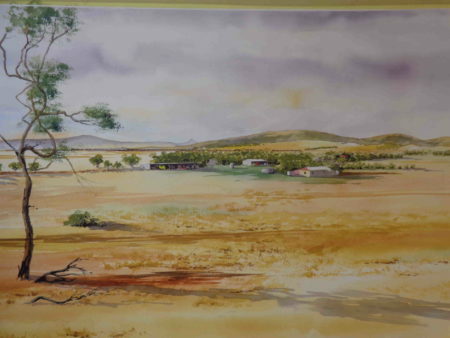 This is the largest watercolour I’ve done so far, at slightly more than 160 cms. long and 84cms. high. It’s a view of a sheep grazing property a few kilometres North-East of Peterborough, South Australia, showing the typical red soil and dry grass of the area. 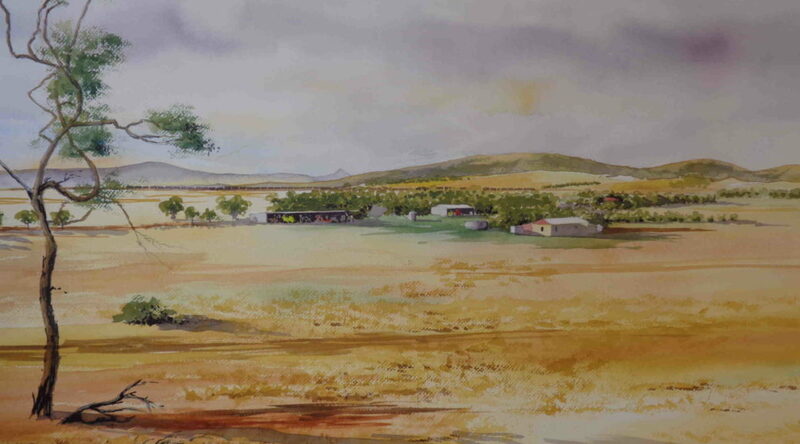 I love this countryside, and so it was a pleasure to paint.